As we discussed in class last week, a corporation cannot run without a solid base of values and ethics that permeate the corporate structure. What happens to a corporation when those values are lost in favor of sales and profits. Wells Fargo, a San Francisco bank, has been renowned for their “cross-selling” techniques. When a bank cross-sells, they sell multiple products to the same customer turning one customer into the equivalent of many customers worth of business. It turns out that this kind of selling prowess comes at a cost, employees were encouraged to sell each household at least eight products even if the household didn’t need the product. Bank branches are accused of opening thousands of unauthorized accounts and pushing risky financial decisions onto the households they advised. Managers were told that they must meet a hundred and twenty percent of regional sales quotas. If they didn’t they were chastised in front of sixty plus managers in the regional area. According to former managers, they would stay late to finish employees work and keep employees late to meet obscenely high sales quotas. The struggle to sell became so demanding that employees began to open duplicate accounts and order cards for customers who they knew would be approved, using Wells Fargo’s algorithm. 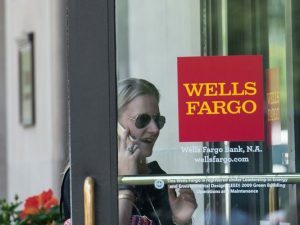 Wells Fargo claims that they train all of their employees in ethics but if this their version of ethical, they may need to reevaluate their training.